Hey, readers! I’m back from my hiatus from blogging and I’m more than ready to update you on my adventures throughout Chile! April was quite a busy month, full of traveling to new places in this dynamic country and adjusting to the workload here. I find my academic life studying abroad just as challenging and demanding as the classes back at Amherst College in Massachusetts. To be fair, I voluntarily chose to pursue an independent research project to study the Haitian immigrant community in Chile. In the aftermath of the 2010 earthquake in Haiti, many Haitians have looked not toward the U.S., France, and Canada as history might suggest, but within the Latin American region, attracted by the economic stability of countries like Chile and Brazil in the Southern Cone. Honestly, however, the pressure to produce a 40-page paper (in Spanish) on this topic by the end of the semester has been quite demanding. Still, I remind myself every day that this research project has given me the unique chance to explore my study abroad country at an intellectually rewarding level. There’s no doubt the project will prepare me for future academic research my senior year and beyond. Fortunately, I’m enrolled in a class that translates to “Race and Ethnicity in Latin America,” which has done so much to help me in my own independent research on race and immigration in Chile on a theoretical level. The course has opened my eyes to the importance of exploring themes of race and ethnicity with a sensitivity toward and an awareness of the Latin American context and perspective. In addition to theoretical readings about the construction of race and ethnicity in Latin America, we’ve watched engaging selections from Harvard professor Henry Louis Gates Jr.’s documentary series “Black in Latin America.” I could relate to Gates’s personal revelations about the similarities and differences of black identity and culture between North America and Latin America. Through both my academic courses and my daily conversations in Latin America, I’ve really learned to appreciate how my own lived experiences with race in North America cannot necessarily be expanded and applied in other contexts. 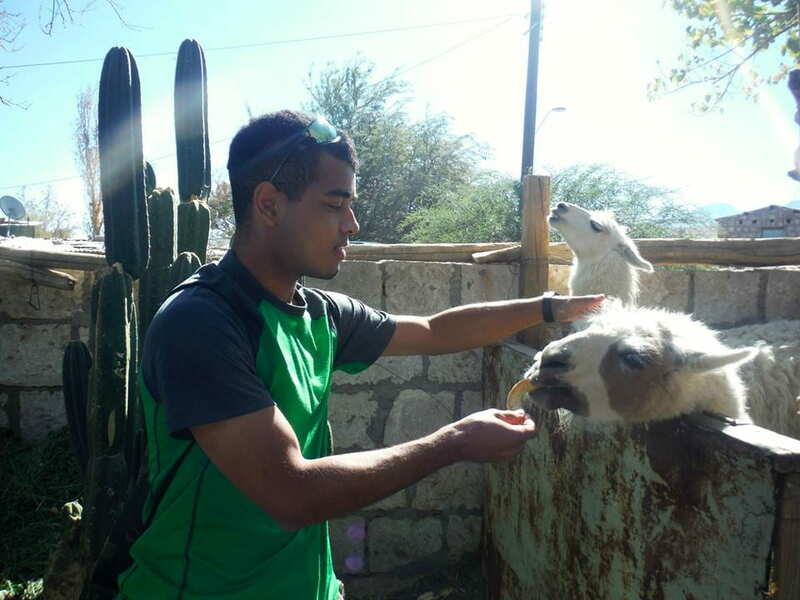 The reality of race and ethnicity in Latin American societies can both diverge from and intersect with those social constructions I’ve experienced as a black exchange student from North America. Blackness can be imagined quite differently depending on the national context. Studying abroad in Latin America has shown me the power in thinking critically about the regional contexts and histories that both unify and diversify the individual lived experiences within the black diaspora in the Americas. I hope to continue my academic research of black history in the Atlantic World during my senior year and beyond. 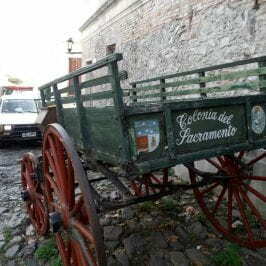 In my previous blog posts, I tried to familiarize readers with my experience arriving in the Central Valley of Chile (after all, I’m living and studying in the capital and central city of Santiago). 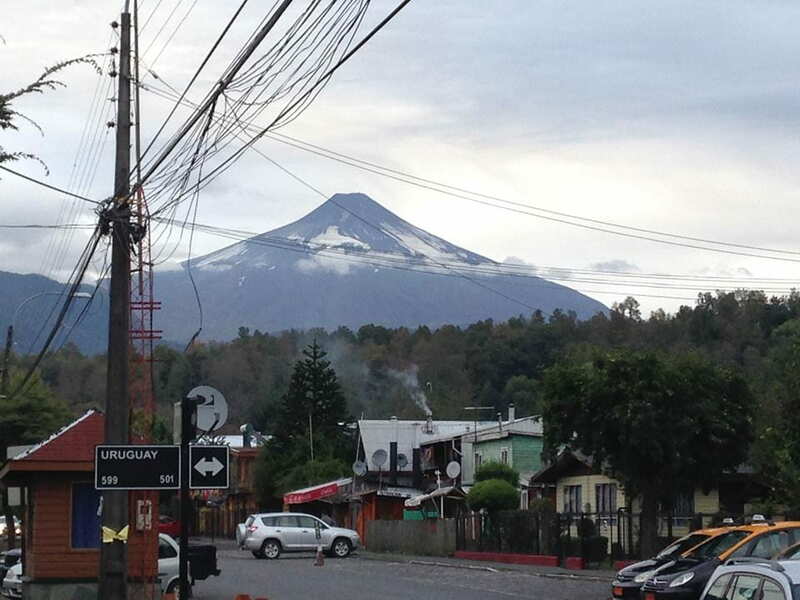 The central region is the densely populated core of this South American country with the majority of the universities and it serves as the site of so much economic and political activity. As a result of adjusting to life in a major Latin American city, my earlier reflections from February and March centered on my social experiences: adjusting to Chilean social/cultural norms, speaking Spanish most of the day, adapting to a more ethnically homogenous society, and navigating my own identity as a Black-American abroad. However, fast-forward to May and April, and I’ve been just as enlightened traveling away from the urban environments of central Chile and embarking on trips to both the south and north of Chile. Free from the concrete jungle of Santiago, I had the chance to healthily disengage from many of my preoccupations with racial identity and nationality. As much as I appreciate reflecting on identity in an international context, there are times I simply want to just be in Chile. My trip to the small city of Pucón in the lake region of southern Chile gave me a chance to immerse myself with nature. I remember placing my feet in the lake nearby my hostel and then looking up at the gigantic mountains along the water. Far, far away from the skyscrapers and subway trains of Santiago, I felt as if I was in a landscape from a fantasy movie like the Hobbit (I swear that a dragon could have soared above my head at any given moment). I remember finding independence and courage within me to break away from my group for a little bit to navigate a bus system on my own (in Spanish) and sit by a beach on the lake to mediate and just breathe. 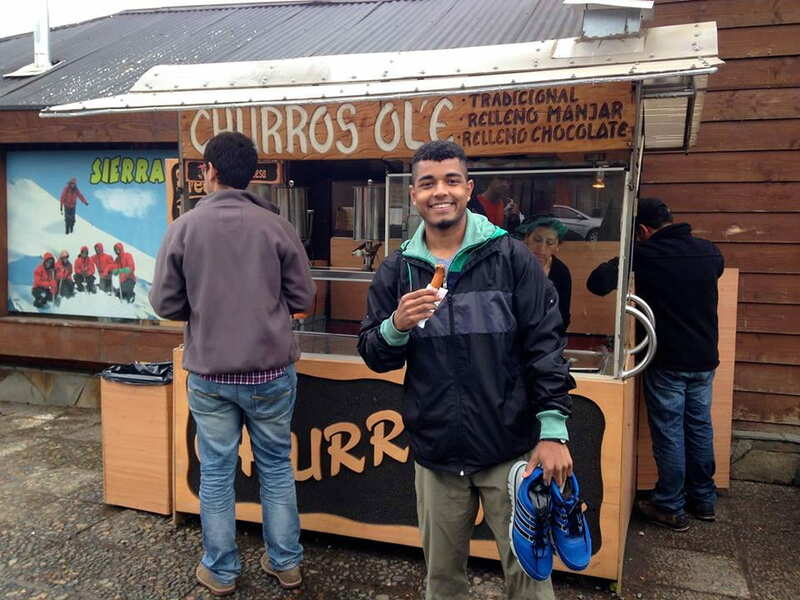 Whether I’m in the port city of Valparaíso, outside of a Santiago metro stop after class, or outside this stand in the southern lake town of Pucón, I will never pass up a good churro! 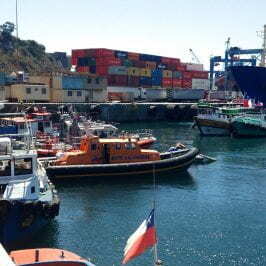 My time in northern Chile last week also gave me an equal opportunity to relax and reflect on my life and experiences. Three nights in the dry Chilean desert really gets a guy thinking about how small he is in this universe! Like the southern region of the country, the northern Chilean desert has so many natural wonders to offer its visitors. 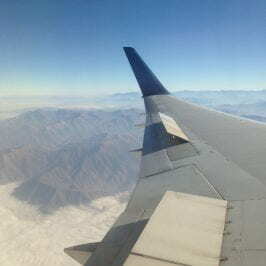 (Interestingly, the mountains of the arid Atacama region of northern Chile mirrored the mountains in the cool, wet lake region as well as those of the Andes along the western side of Santiago. The presence of mountains throughout Chile definitely seems to be the common geographical thread of the country’s regions.) 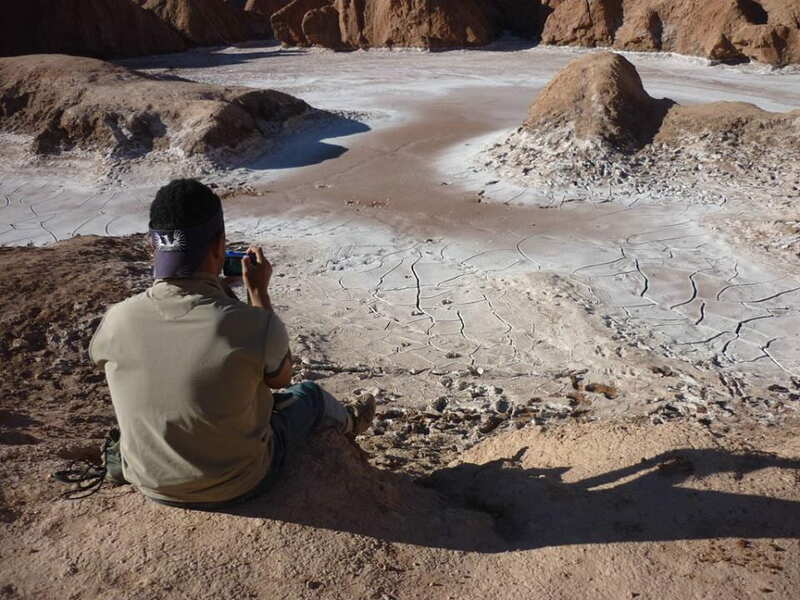 My study abroad program organized the trip throughout the desert and a guide drove us throughout the area surrounding the town of San Pedro de Atacama where our hostel was located. It was basically a really cool safari ride to see Chilean desert fauna and landscapes! During my free time, the historian within me propelled me to check out the historical sites in the oasis town of San Pedro de Atacama like the R.P. Gustavo Le Paige Archaeological Museum. Still, as much as I love museums, I felt a harmony in having a balance between humanity and nature when traveling that I didn’t before. I stopped thinking of my study abroad experience just as a history major, but as a student living abroad simply to learn: both in the classroom and beyond, both from the human past and present as well as from Mother Nature. Human societies and the natural world are two interconnected sides of the same coin. I think all study abroad experiences should allow students to appreciate both the human cultures of a place as well as its natural environment. My study abroad group and I had the opportunity to converse with an indigenous woman who lives independently in the Chilean desert, raising goats even though her children have moved on to nearby towns. She felt more connected to her indigenous past by opting for a humble life of mindfulness in touch with nature, finding strength in how her ancestors had learned to continually adapt to the environmental challenges of life in a desert. She emphasized to us travelers that human beings are a part of nature, not a phenomenon apart from it. It’s no question that we take and eat from the natural world in order to survive. Although I don’t think I have the courage to give up the comforts of “modern” life, that’s beside the point. It’s just about working to be more mindful that human life is about more than cities, new gadgets, and social media updates. In Chile, I’ve gone whitewater rafting (twice), joined fellow travelers in my hostel to watch a volcano spew magma more than five-hundred feet in the air, walked through fields of pure salt, fed llamas, milked goats, and watched the sun set upon the horizon in a desert. And all this for the first time. When you see the beauty and power of the natural world, you really become less fixated on all the social problems and insecurities of modern life. You can let all your worries drift away to the bottom of a lake or into the desert sand. Chile’s geographic and climatic diversity allowed me to become closer with nature in so many different ways. Although Chile is a super thin country, its coastline exceeds that of California and gives the nation a wealth of different ecological environments. Each region is unique, with a human culture influenced by a distinct climatic character. Honestly, my time in Chile wasn’t the study abroad experience I was expecting, but I feel like the country has provided me with the experience I needed. As a history major, I came in quite focused on the cultural and social experiences that I hoped to have, somewhat ignorant of what the country could offer a study abroad student outside of the dynamic, urban life of Santiago. At this point, I can definitely say that my study abroad experience wouldn’t be complete without the chance to explore Chile’s natural wonders. While I can’t say I’ve made a bunch of new Chilean best friends, I’m realizing that this is of little importance to me and beyond the real reason I’m studying abroad. 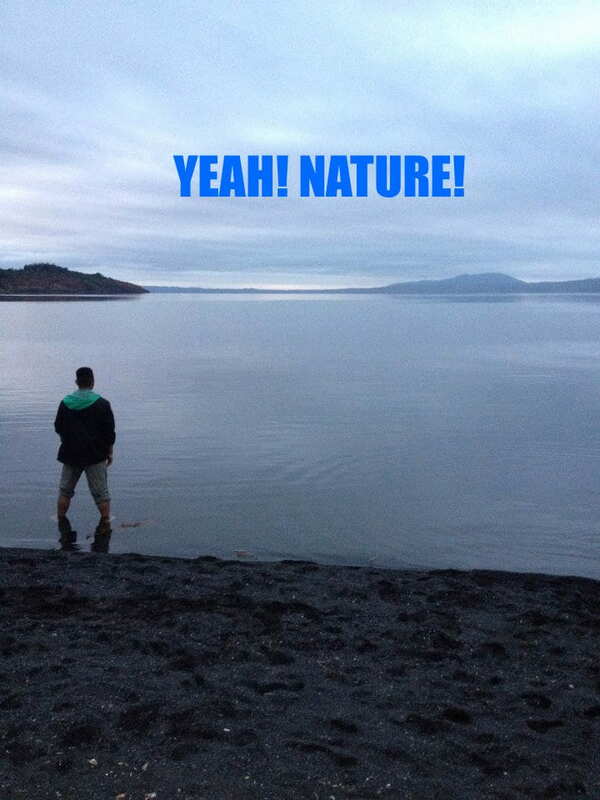 For one, I am having a great time learning to appreciate and connect with nature. Furthermore, I’ve been able to re-imagine my expectations for my semester abroad to be more realistic. I have an incredible host family that has taught me so much about Chilean culture. They’ve treated me like a son of their own, introducing me to their own families and traditions, going above and beyond the expected to support me every day in Santiago. I’ve also learned how to be independent and navigate a big city as a young adult. 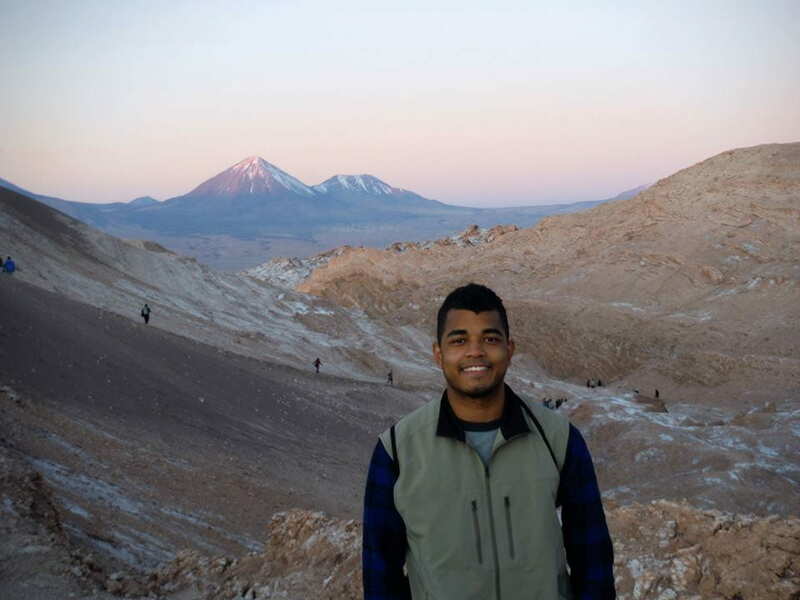 Before studying abroad in Santiago, I felt significantly less confident navigating and handling urban life, having grown up in the suburban Baltimore area and choosing to study in a rural Massachusetts college. So, what’s my point? 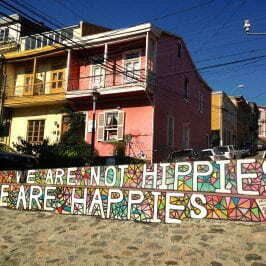 Study abroad shouldn’t be an attempt to replicate your college experience. Being uncomfortable is part of the process. Being black. Being American. These identities, among others, have and continue to factor into my experience abroad, but I’ve also grown by challenging myself to adapt to a new culture. I’ve learned how to become comfortable with being uncomfortable, to grow within new and different environments. This capacity for adaptation gained from studying abroad will support me for the rest of my life, whether I’m back in the U.S. or beyond. Measured in this way, my experience in Chile has been quite a success. That’s all I’ve got to say for now! I’ve got some days without classes this week so I’m spending time in Montevideo, Uruguay to see another side of the continent (both geographically and culturally!). Hasta Luego!